Batteries are among many dangerous things that can be ingested. A family from White City, Sask., has been sharing their experience with the dangers of household items after 13-month-old Khyler Thompson swallowed a battery that damaged his trachea. The boy's parents, Kayla and Donnie, realized their son was in distress and took him to the hospital where it was discovered that a coin-sized battery had released alkali in his throat. The battery was surgically removed and another surgery was done to help Khyler breathe. According to health experts, batteries are among many household items that pose dangers if swallowed. Foreign bodies, toys, (including batteries). The family is facing additional costs for follow up surgery, in Calgary, and has begun fundraising efforts to offset those bills. Just one day after the story was featured on CBC News people rallied. CBC News learned Tuesday that a woman in hospital, in Regina, saw the story on television and dropped off a donation — in person — in Khyler's room. As well, organizers of a fundraising event say they are anticipating raising around $10,000 for the family's needs. 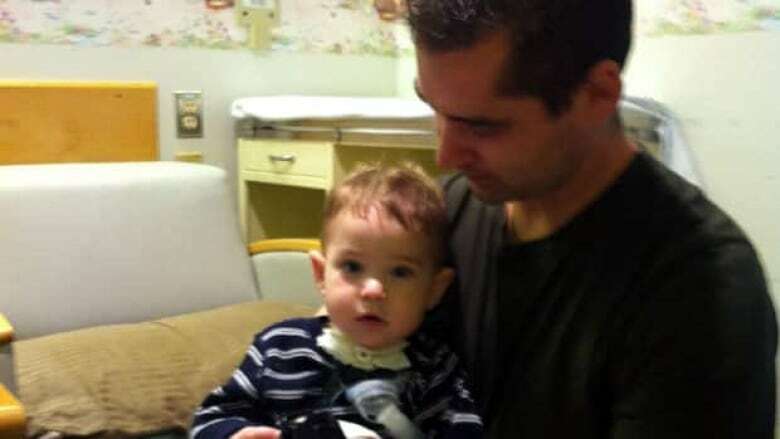 The family said if the fundraising efforts go beyond what they need, any extra money will be directed to the hospital charities that have supported Khyler.